When I was a small child, my mom would recite that poem to me. I found it extremely funny. After our recent communications contretemps here at the Malibu Post, I've developed a certain empathy for the elephant. 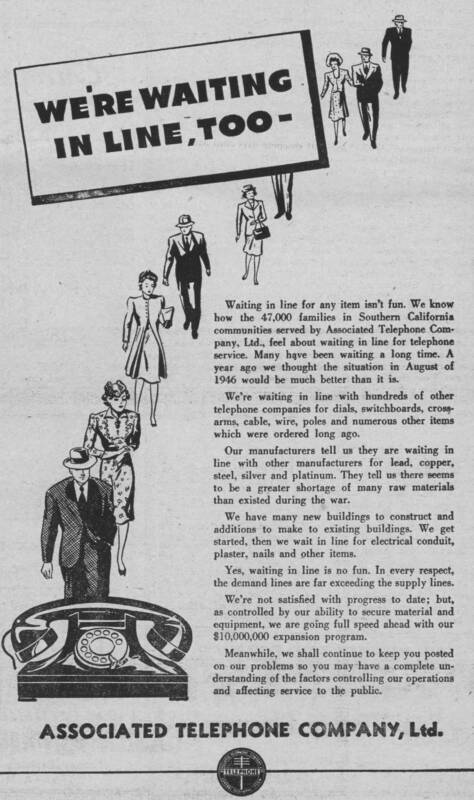 Here's our own tale of Eletelephony. There are no power poles or phone lines in evidence in this 1925 photo of Castle Rock, opposite what is now the Getty Villa. Phone service remained scarce in Malibu until the 1950s, and many households made do with four or five house "party lines" until the end of the 1960s. Photo: USC Digital Library, from the collection of the California Historical Society. The Malibu Post's new neighbors recently signed up for fiber optic communication service, or FIOS. The technician clambered up the telephone pole and connected this neighbor’s fiber optic cable by the simple expedient of unplugging ours and using that slot. 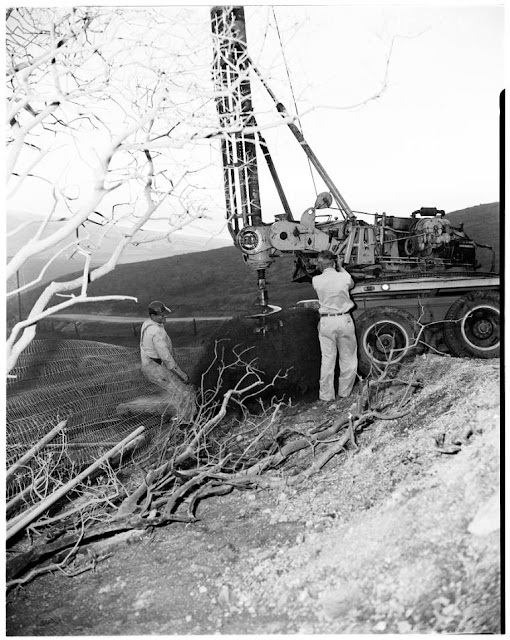 The Malibu Post was instantly plunged from the 21st century into the year 1950. The only phone still functioning was a second line, the one we stubbornly refused to switch to the new technology despite the blandishments of the FIOS company. The Internet connection, TV, and main house phone were deader than a week-old mackerel and the cell phones could only be used up at the street. While unplugging our service only took a moment, plugging it back in again seemed beyond the frail intellect of the technician. He arrived late the next day and pottered about for an hour. He left us with promises that he, or someone, would return in the morning with a solution and was never heard from again. Many calls to the service provider's 800 number from that old copper wire phone line followed. It wasn't an entirely unproductive time. This poor abandoned Ariadne, waiting in vain for the return of Theseus, sewed on buttons, glued together various bits of broken miscellany and sorted the drawer that accumulates paper clips, thumbtacks, wood screws, business cards, and extra bits of IKEA furniture hardware, all while listening to endless hours of elevator music. Power poles and phone lines are such a ubiquitous part of the landscape that we forget their significance and how fast they've changed from carrying electricity to providing phone, cable and internet connectivity in addition to electricity. Days passed. Various technicians came and went. The problem made its way up the food chain to construction and then to engineering. Once one made it past the elevator music, everyone at the other end of the 800 number was sympathetic, even when they weren't helpful. Eventually we learned that we were not alone in our technological isolation: four other houses were also impacted. It was interesting to realize how quickly we have become dependent on the Internet, for addresses and directions, restaurant reviews, movie showtimes, word definitions, fact checking, music, and research. When I’m not being an Intrepid Journalist, I research, arrange, and publish early and traditional music for the Celtic harp. When I started out, I relied on interlibrary loans, antiquarian book dealers, and occasionally trips to distant libraries to access necessary research materials. I’m currently working on a book project that involves original 18th and 19th century manuscripts housed in a British library. Last year, I would have had to travel to the library and arrange special permission to view them, or hire someone to do that for me. In 2016, I can access them online—or I could, if my Internet connection was working. 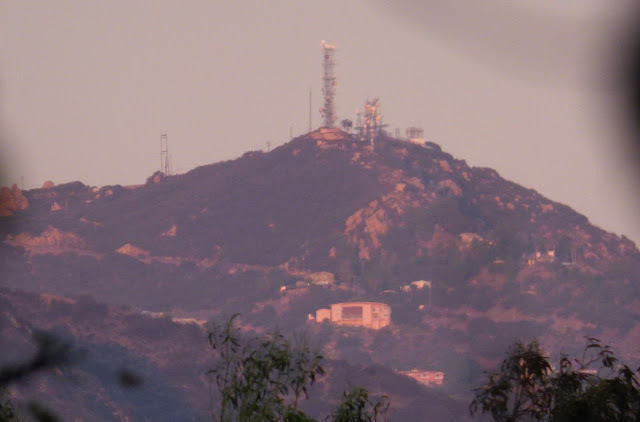 Despite the fact that many of the highest peaks of the Santa Monica Mountains are crowned with a sci-fi-esque assortment of antennas—this is the view from Point Dume of the far distant Saddle Peak antenna station, satellite communications are still less than reliable in this corner of the world. The inadequacies of local cell phone reception may be one of the only issues all Malibu residents can agree on. 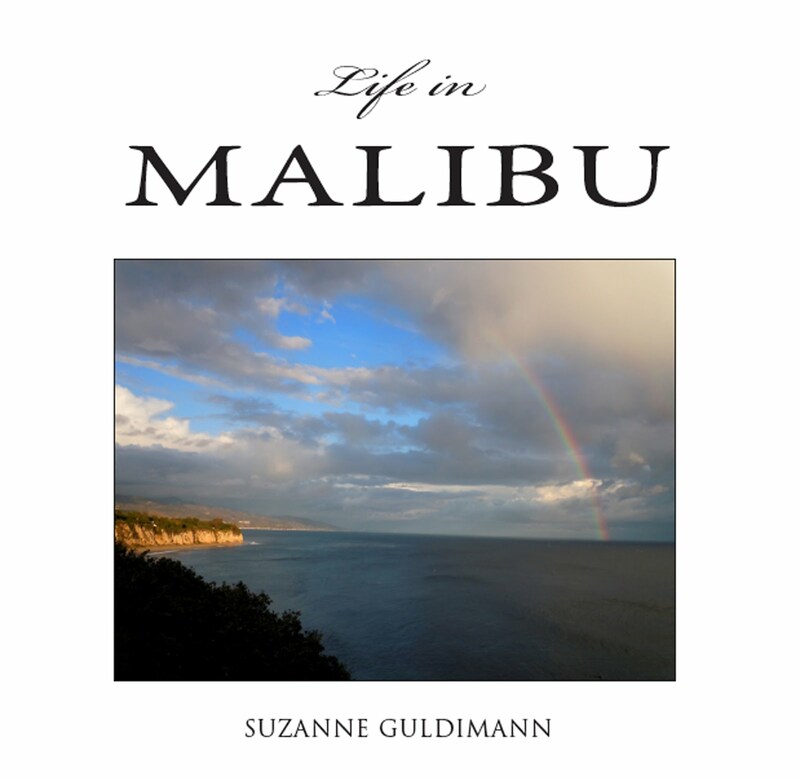 Dropped calls are a part of the Malibu way of life, and complaints about the various carriers a cornerstone of local conversation. 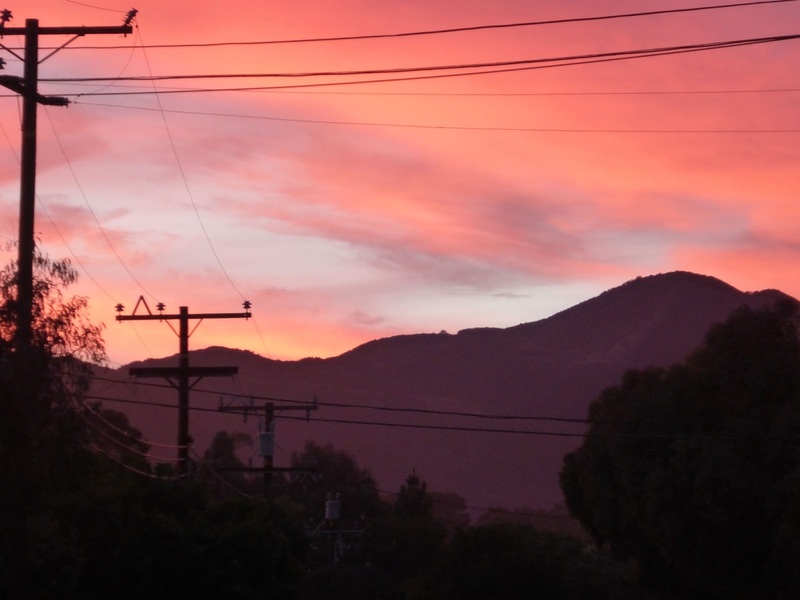 There was a time, not long ago, when phone service was a luxury for Malibu residents. Many neighborhoods still had party lines—a shared phone line that would ring a different number of times for each house and was ideal for eavesdroppers and nosy neighbors—when my family moved here in the late 1960s. 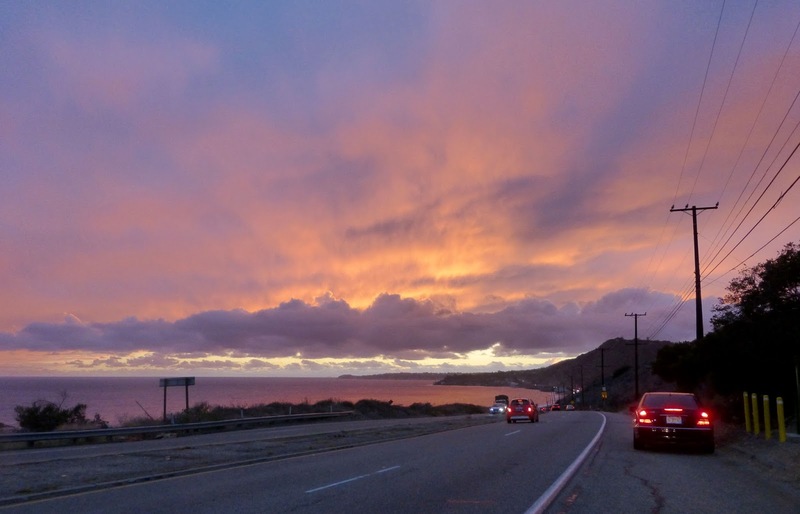 Malibu residents fought a long, weary battle in the 1940s and 1950s to receive even that limited connection to the outside world. Like so many parts of California, Malibu's population expanded dramatically after WW II, but there were limited phone lines in Malibu, and copper shortages persisted after the war, creating a demand that far exceeded supply. 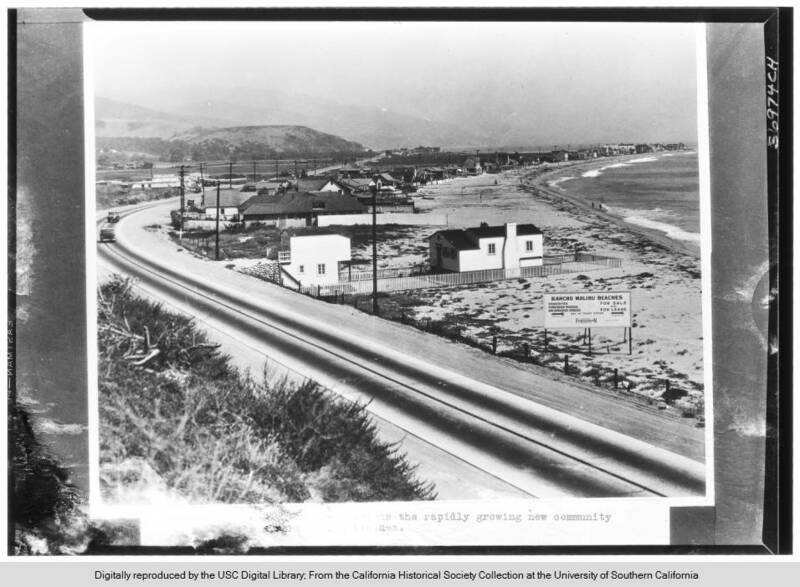 The first power poles arrived in Malibu in the 1920s, when the Malibu Colony was first opened for development. The Colony also received some of the areas first phone service, but it would be decades before the more remote areas of the Santa Monica Mountains finally had reliable phone service. Some residents might argue that they're still waiting. It's a reminder that, in some ways, Malibu is still an outpost of the Wild West. 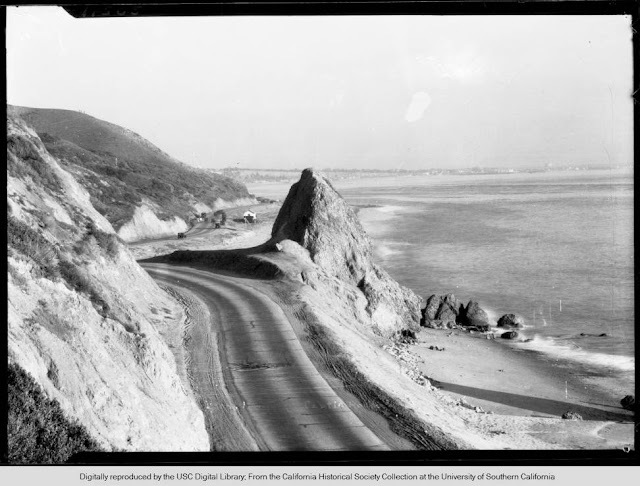 Photo: USC Digital Collection, from the California Historical Society Collection. Malibu and Santa Monica newspaper articles form the 1940s are full of phone-related articles, mostly consisting of the Associated Telephone Company promising that reels of surplus cable would be arriving soon from the Philippines, that service was just weeks away, and that rates were being raised to pay for the cable that hadn't come yet from the Philippines, etc. It's unsurprising that residents were disgruntled. Driving up Yerba Buena Road is like traveling back in time to an era before there were power poles or telephones. 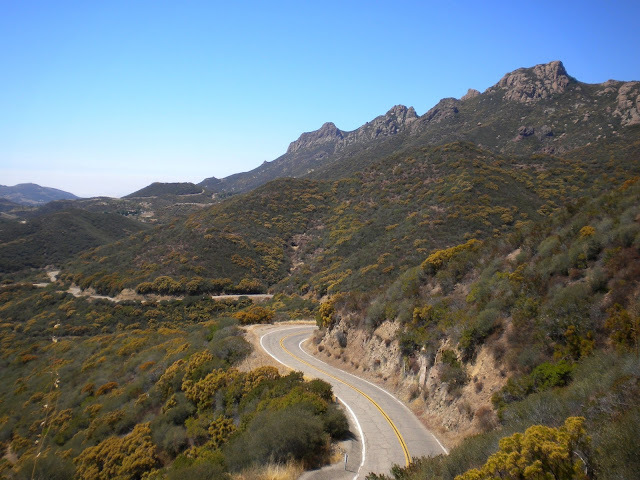 The settlers in this part of the Santa Monica Mountains were some of the last area residents to be connected to both modern conveniences. The early 20th century in this part of the world was straight out of Little House on the Prairie. "Why shouldn't the telephone personnel weather a lot of criticism with amazing good humor? wrote Las Tunas resident Mrs Douglas Sirk in a letter to the editor of the Malibu Times in 1946, responding to an article on the delays. "If I and scores of other people did not find our entire livelihood jeopardized and that we may be forced to throw our homes on the market at a great loss and try to find shelter in some other section of the city, we should and would be able to wait patiently with amazing good humor," Mrs Sirk wrote. "The fact remains that the war has been over for two years...and this company has a monopoly, which makes it impossible for us to turn to a competing company." Mr Douglas Sirk was a film director. In the letter, his wife points out the necessity of staying in constant contact with the studio. "Had it not been that my husband, Douglas Sirk, had an unusually wonderful producer during the filming of Sleep, My Love, we would have had to close our house months ago and go to a hotel, where he could have gotten absolutely necessary and essential calls from the studio" Mrs Sirk wrote. "We cannot count on such an understanding producer in the future." A quick look at IMDB reveals the film had two producers: Ralph Cohn, the founder of Screen Gems, and Mary Pickford, who was an early Malibuite and would probably have known all about the Malibu community's phone crisis. When phone service finally arrived it was less than perfect. 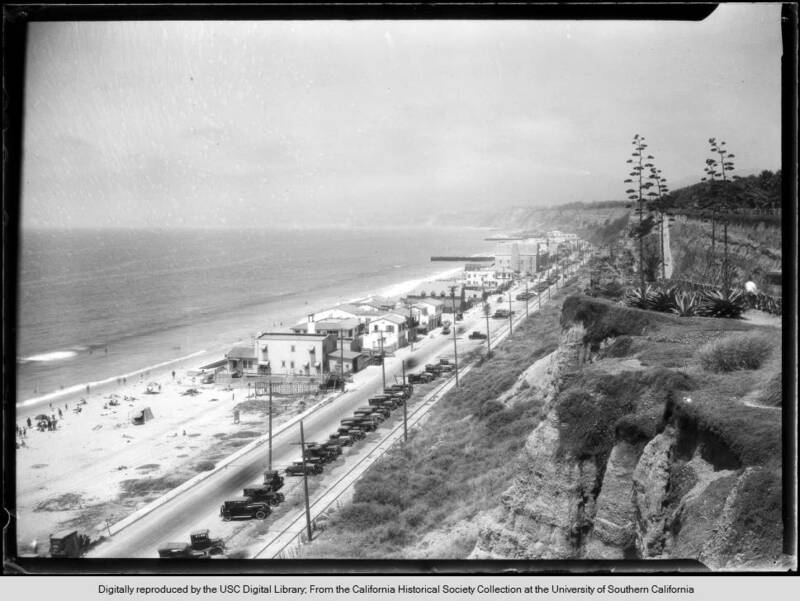 Canyon residents had to depend on public phones, most of them located at the foot of the mountain, along PCH. Almost all residential lines, even in the "Malibu Movie Colony," were shared, or party lines—one line per four houses. Associated Telephone Company's party line policy advice: "Be willing to give up the line if a neighbor requests it to summon a doctor or for some other emergency." Even the fire department had to share a line. It's easy to imagine the town gossips blathering on about inconsequential minutia while Malibu burned and the fire captain waited for a chance to use the phone. A resolution by the Malibu American Legion Post Commander published in the Malibu Times requesting a single-party line for the Las Flores Fire Station. This was part of a lengthy campaign to convince the phone company that reliable phone service was a necessity for public safety. By the early 1970s, even the most remote canyon dwellers had single-line service, and the telephone poles were beginning to carry the latest innovation: cable television service. 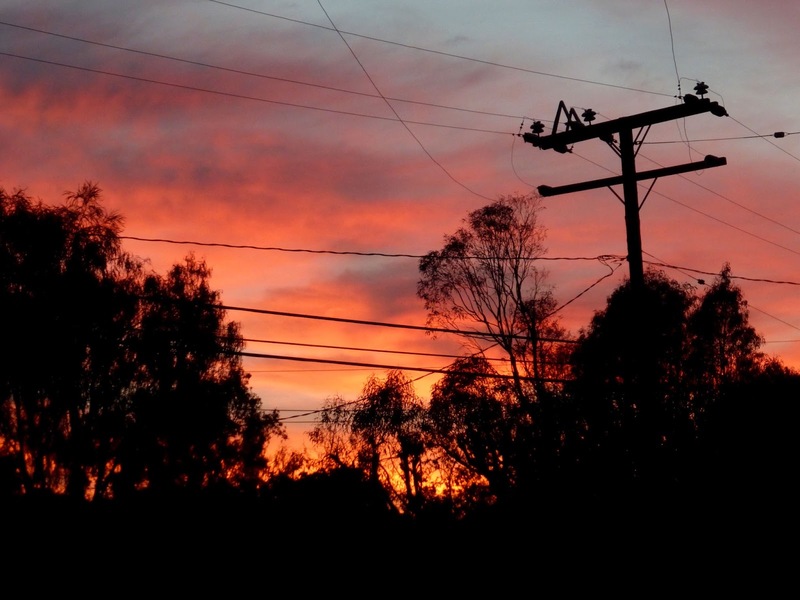 Falcon Cable was one of the first to provide Malibu-area service. 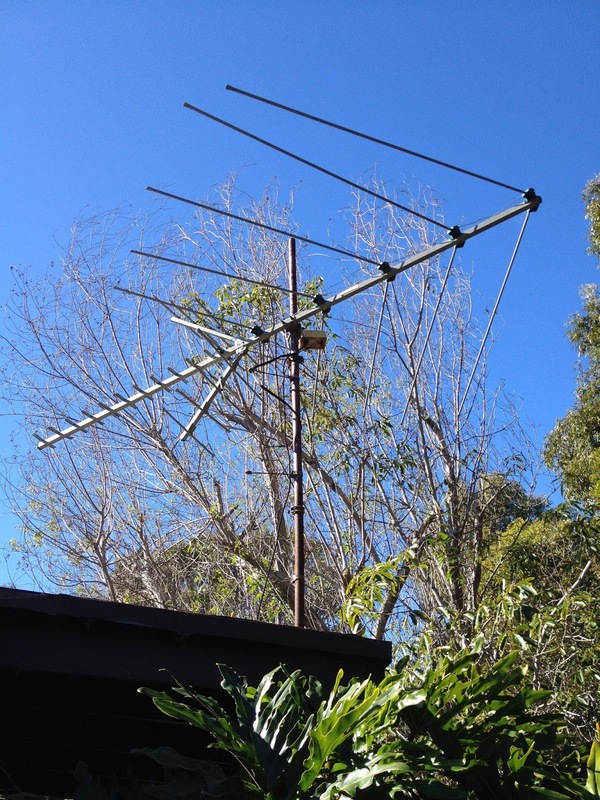 Although Cable TV had been around since the 1940s, it didn't arrive in Malibu until the 1970s. By the '80s, the TV aerials that sprang up on nearly every roof in the 1950s were almost extinct. Today, they're enjoying a modest renaissance, as frustrated cable customers seek ways to cut the cord. Point Dume TV reception in the era before cable was obtained by antenna and generally good—you could watch the networks ABC, CBS, NBC, the local stations on channels 5, 9, 11, 13 that ran a bonanza of reruns (including Bonanza, over and over and over again) and KCET, the L.A. public television station, on channel 28. During Santa Anas you might pick up channel 24, the Orange County public television channel. That was it. Canyon residents were lucky if they picked up just the networks, which had the strongest signals. Cable changed that. As TV began to be available via phone carriers, and the Internet suddenly and almost magically became a thing and then an indispensable necessity, the poles designed to carry electricity and simple copper phone line became festooned, as if by an incompetent crocheter, in a mad profusion of lines and cables, boxes and antennae. In an area prone to high winds, devastating wildfires and catastrophic rockslides, not to mention high speed drunk drivers, it's remarkable that we have dependable service at all. All that cable creates its own set of hazards. Overloaded power poles were found to be at fault in the 2007 Malibu Canyon Fire, which burned 14 structures and 36 vehicles. 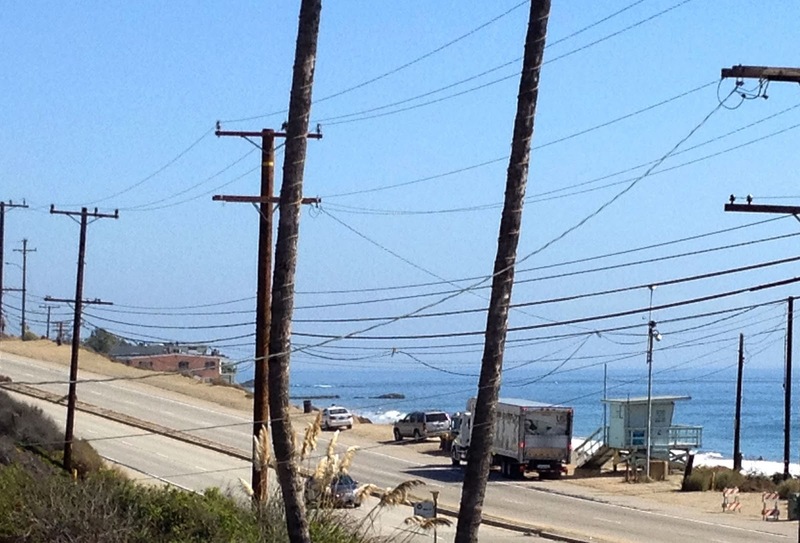 FIOS arrived in Malibu around 10 years ago with fanfare. Many disgruntled cable customers were eager to sign on. However, while FiOS provides magnificent speed and reliability, it can’t be spliced the way coaxial cable can. Each house is connected by a single glass fiber. When the company providing the FIOS service installed it in the neighborhood several years ago, no one appears to have taken into account how many guesthouses there are in the neighborhood, taking up all of the available ports. In order to undo the damage done by the neighbors' technician and get the disconnected homes back into the network, the company had to install 800 feet of new FiOS cable, stringing it like Theseus’ golden thread (to continue the Ariadne metaphor), across a labyrinthine network of telephone poles from the one available port, eight telephone poles and a street and a half away. By 6 p.m. on an evening nearly two weeks after the fiasco began, we were reconnected, and full of hope that we will remain connected, at least until the next neighbor signs up for FIOS service. We noticed that at least one neighbor isn't taking that chance. The competition was there the other day, installing yet another cable. Here at The Post we are rejoicing in the restoration of high speed internet, but we have to confess, it was wonderfully quiet without all of those bogus robocall sales pitches for home repairs, back braces and carpet cleaners—there's something to be said for being incommunicado. Two weeks and 800 feet of new fiber optic cable later, the Malibu Post is reconnected to the 21st century once more. Oh Suzanne, what a great post, one we Malibuites can all commiserate with. I too kept my copper line, much to the chagrin of Verizon, who tried disconnecting it at least 3 times.